Teaching at a High School is always interesting and dynamic. Most of it has to do with all the changes and adjustments our students have to deal with throughout this crucial stage of their lives. Puberty is not an easy stage to go through. So, why don't we try to be a bit more realistic, why don't we try to adjust our content to their interests. In a language class we have to talk about physical appearance, personality, descriptions... why don't we give a try to a more teenager-centered texts instead of the boring classical ones. 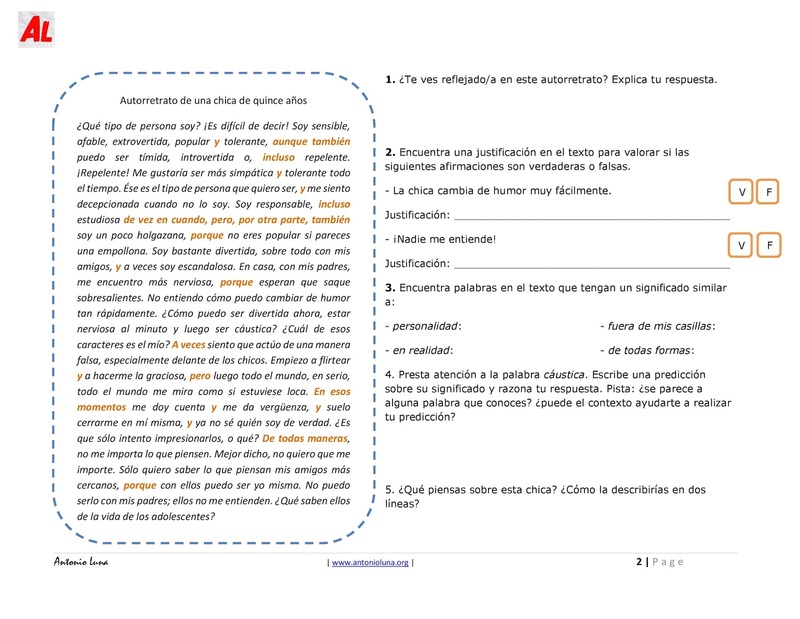 This worksheet can be used as a regular reading comprehension activity but also follows the IB format for IB classes.